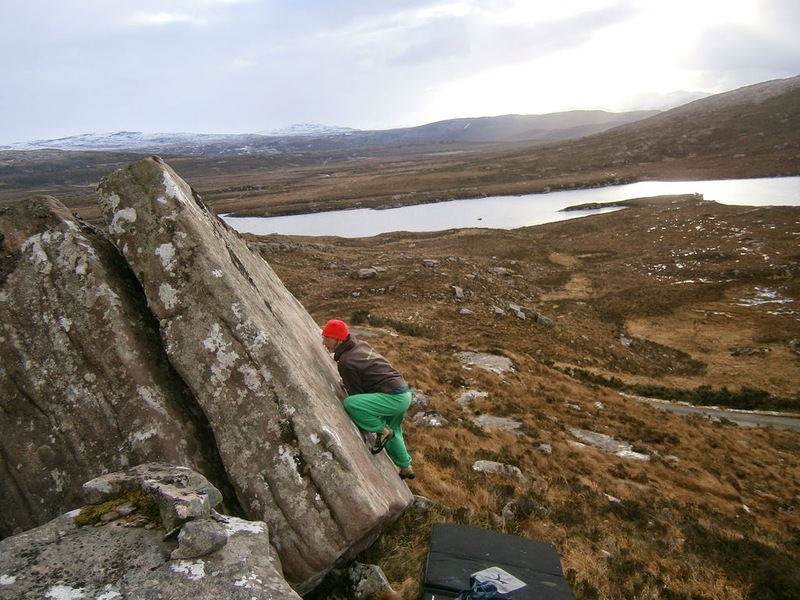 With the high pressure settling over most of Scotland and providing windless weather and cold temperatures, the bouldering conditions are pretty good at the start of February. Some new projects are being worked on across the country. 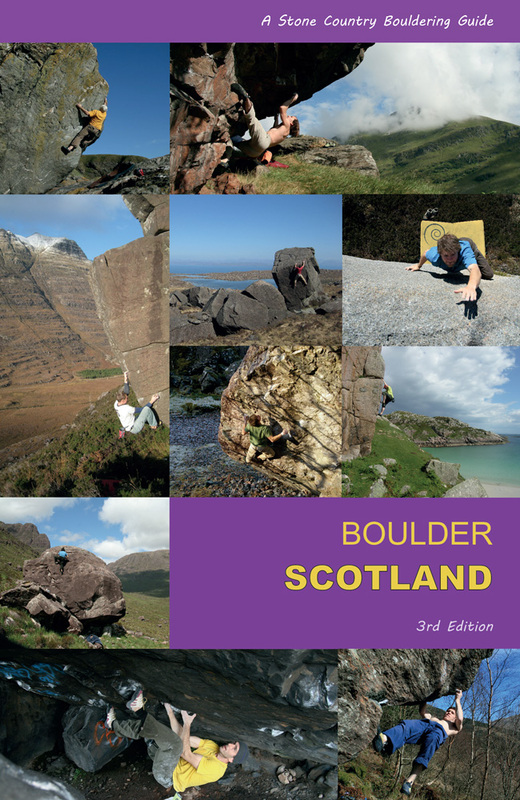 On the Moray Coast, a new sandstone roof venue akin to Cummingston looks excellent, if this little video is to go by, thanks to Hamish Fraser, Dave Wheeler and friends. 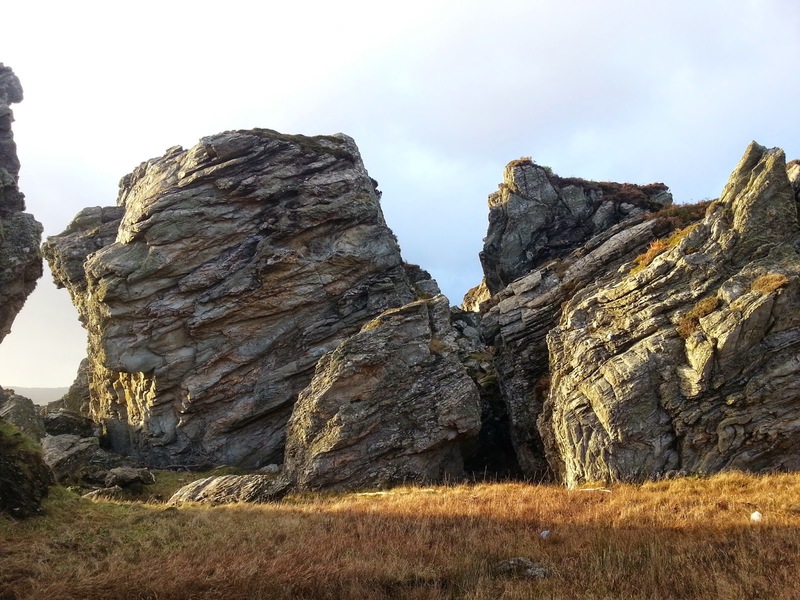 New Bouldering Project, Moray Coast from Hamish Fraser on Vimeo. 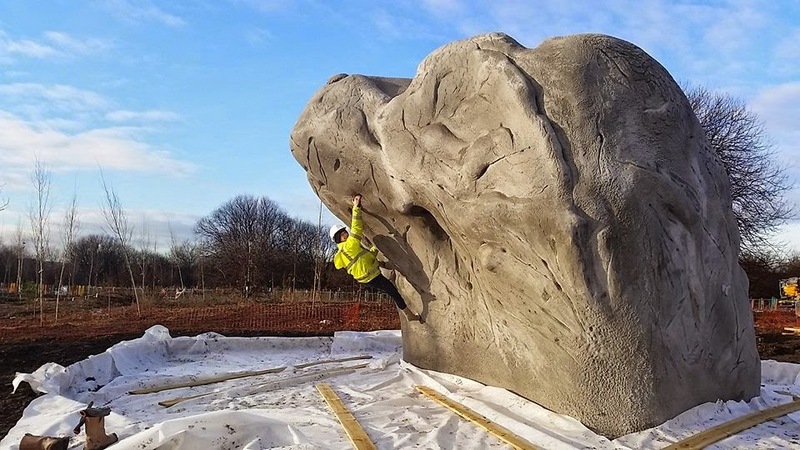 In Glasgow, Serious Climbing is putting the finishing design touches to the Commonwealth Games legacy project that is the Cuningar Loop Boulder Park. This park is due to open in the spring sometime, and first glimpses look jaw-dropping. The site features what appears to be about a dozen moulded blocs on a forested plot of land in a loop of the Clyde river, near Dalmarnock. 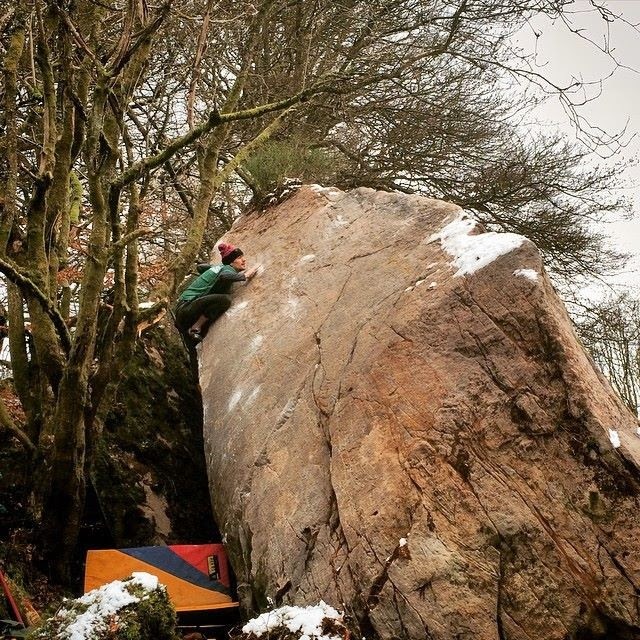 Alex Gorham has blogged a picture of a nicely-cleaned sandstone bloc near Milngavie, hopefully we'll have some hard projects to work soon when he reveals where. 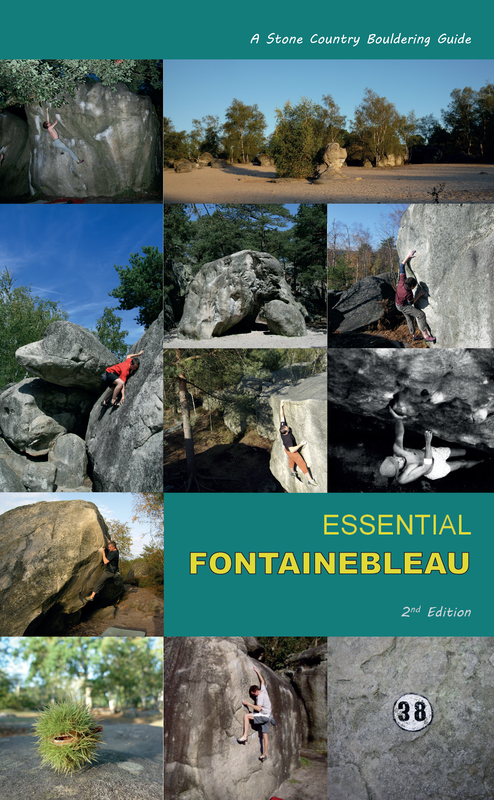 The sandstone escarpment that runs under the Campsies from Faifley to Lennoxtown has a number of undeveloped spots, dank roofs and lost blocs, often requiring significant cleaning, but this looks like another belter to rival the Lennoxtown roof. 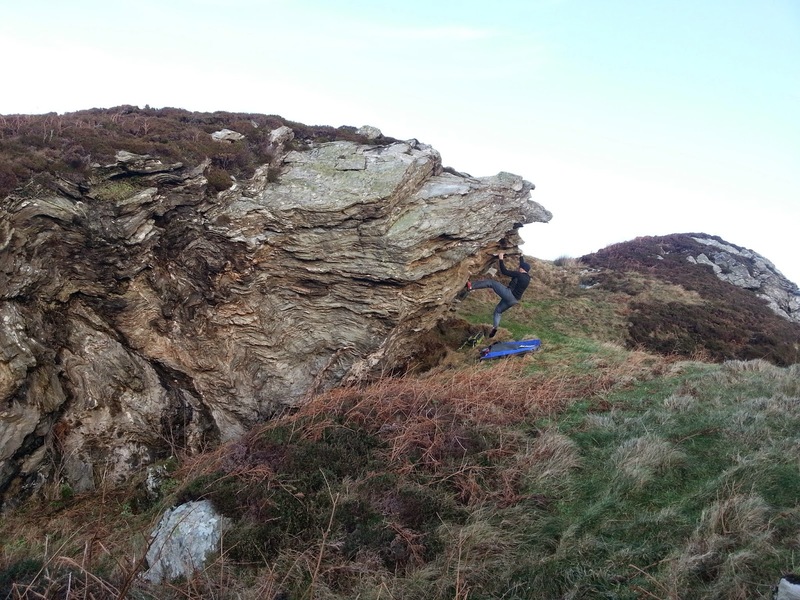 Kintyre has seen some exploration round Carradale, where a tortured schist geology provides unusually juggy steep climbing and some giant highballs. Flexor Strain from North West Outdoors on Vimeo.